They never wear the same uniform twice, they train on Brazilian hardwood, and their stadium features not one but two waterfalls. It is safe to say that Oregon has one of the best facilities and uniforms in the country, if not the world. This is the world that Oregon lives in now, but it was not always like this. Their uniforms were ugly, their facilities were worse, and Autzen Stadium was smaller than some high school stadiums. Before the late 1990’s there was nothing pretty about the team. Today, strength and conditioning facilities are key for recruiting and developing players. Many of us would think that such an important part of the program has always been here, but we would be wrong. As it turns out Oregon didn’t get a weight room until the ’70s. 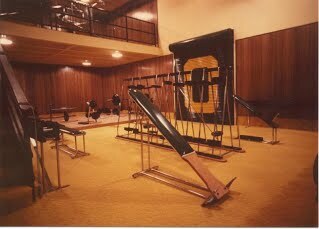 These weight rooms were nothing like what they are used to today. In fact they weren’t much better than some hotel gyms. While the weight room improved gradually, it wasn’t until the Len Casanova Center that Oregon facilities would be brought into the modern age. With improved weights and an expansion to Autzen — Oregon could finally offer recruits worthwhile facilities. It wasn’t until 1998, however, that Oregon started to look like Oregon. The opening of the Moshofsky Center was huge for Oregon. More commonly known as “The Mo,” it was the first indoor practice complex on the West Coast. Many of us simply view The Mo as a giant tailgater but it is so much more than that. It allows the team to simulate conditions on the road. The team can crank up the heat to simulate conditions in Arizona or Arizona St. The team was also able to simulate the humidity of Tennessee by wetting the walls and using the heat. The Mo allows the team to prepare for the week’s opponent in ways that they once couldn’t dream of. It is easy to see the resemblance. Since the opening of Autzen Stadium in 1967, it has been too small. For 34 years the most it could hold was around 41,000 people. Finally in 2002, Autzen received the renovation that was desperately needed. Before 2010, Autzen featured a prominent crown on the field. Many of those late to the Oregon band wagon had no idea that for years Autzen featured an arch on the field. However at the beginning of the 2010 season the crown was removed and replaced with a new, flatter surface. We all know about the uniforms. Aside from their offense it is Oregon’s greatest defining quality. However, one fact about the uniforms that is often over looked is the logo. To many, it is simply an “O” and never consider how that O was designed. 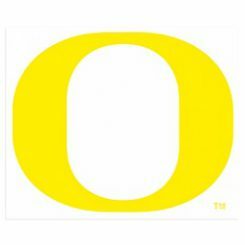 The truth behind the design is that the O is a combination of the shapes of Autzen and Hayward. The outer portion of the O is the expanded Autzen Stadium, and the inner part is the oval shape of Hayward Field. Finally, in 2013, the Hatfield-Dowlin Complex was completed. 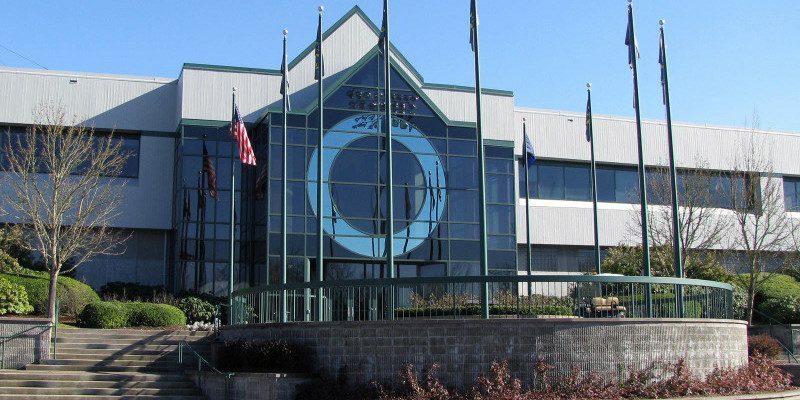 Even before its completion Oregon was known at this point for having the best facilities in the Pac-12, although this complex helped take Oregon to the next level. The outdoor practice fields now feature both natural grass and artificial turf. The building has more features than can be listed — so instead, take a video tour with Sports Illustrated. With all the recent improvements to the weight room and the construction of the Hatfield-Dowlin Complex, what better way to appreciate all that we have than with The Mighty Oregon DVD. Look back from the Ducks’ earliest days at Hayward Field to the expansion of Autzen Stadium. Watch Oregon build their facilities to the point of which they are the envy of the college football world.